In a recent update shared by officers of AMA University Main Campus in Quezon City, they congratulated 3 "AMAers" who recently passed the Cisco Certified Network Associate Exam or CCNA Exam, namely Engr. Wesley T. Marcelino, Engr. Angelo Gabriel V. Mapalad and Engr. Orly Hernandez, Jr.
CCNA is an information technology certification from Cisco, which is a reputable American multinational technology conglomerate that manufactures and sells networking hardware, telecommunications equipment and other tech products. A CCNA certification serves as proof or verification of one's expertise in the field of computer networking, which involves installation, troubleshooting and maintenance of different types of network connections. Apart from CCNA, there are other types of Cisco certifications based on one's chosen expertise. Having such certification does not only help improve ones' credentials, but also literally increases his or her competence in the IT field. Because of the high demand for Cisco certified professionals globally, more and more IT graduates or professionals seek to obtain such qualification in order to have a sure shot for bigger and better opportunities. Simply put, a Cisco certification is a real-world advantage when applying for high-paying jobs related to information technology. In the Philippines, AMA is a popular choice by IT professionals for Cisco training as well as for taking Cisco certication exams. With over 30 Cisco academies housed inside AMA campuses that are located in different cities and provinces in the country, the institution provides IT professionals in the Philippines opportunity to obtain globally-recognized certification without having to travel far from where they are currently based. On the other hand, students of AMA taking up courses related to IT, get to learn Cisco methodologies and practices automatically as part of their curriculum. This is the institution's response to the growing and continuous need for IT professionals who possess Cisco skills. Integrating internationally-recognized competencies to the curriculum is one way for AMA to ensure its students will have an edge once they enter the real-world. Cisco training and certification exams at AMA is open to all IT professionals who wish to improve their credentials and knowledge, particularly in Cisco related functions or networking. For more information about Cisco Academy at AMA, call or visit any AMA campus nearest you. Admissions Office is open from Mon-Fri, 8am-5pm and Sat, 8am-12nn. 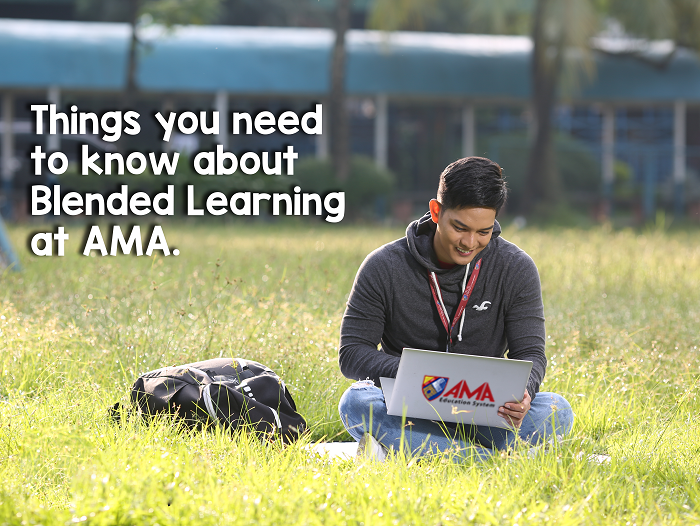 To find an AMA campus nearest you, visit www.ama.edu.ph to see list of campuses with contact details.